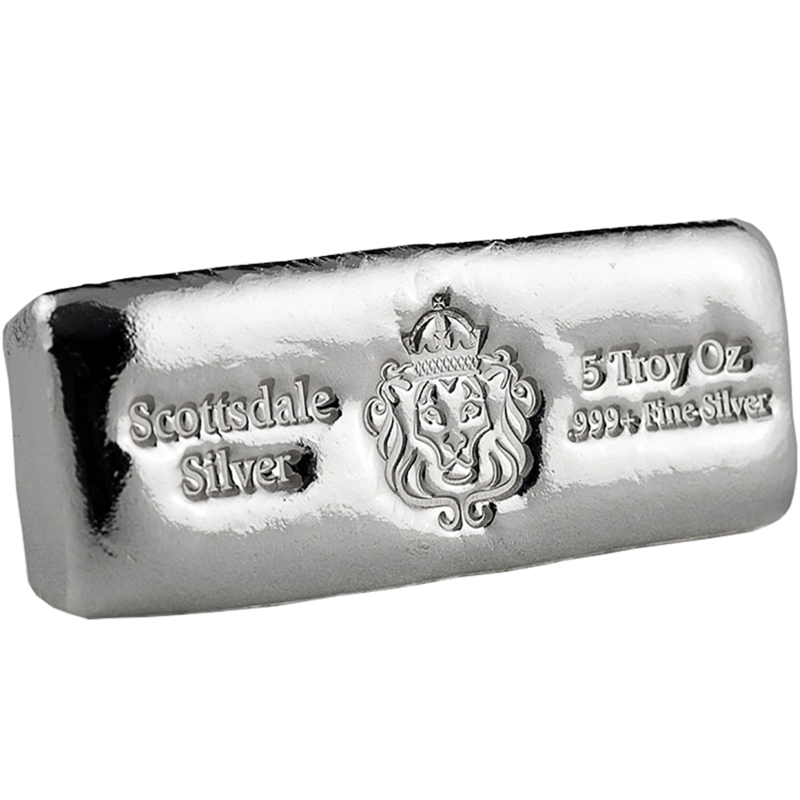 The Scottsdale Mint 5oz Cast Silver Bar, contains 5 Troy Ounces of .999 pure silver. 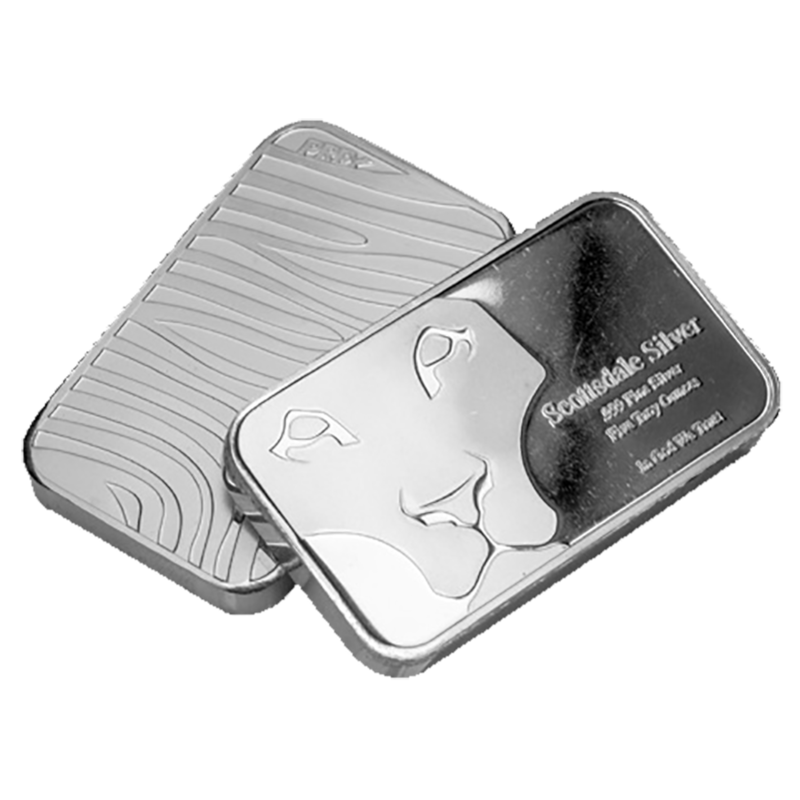 The bar is similar to the famous '10oz chunky bar', also produced by Scottsdale Mint, but its smaller. 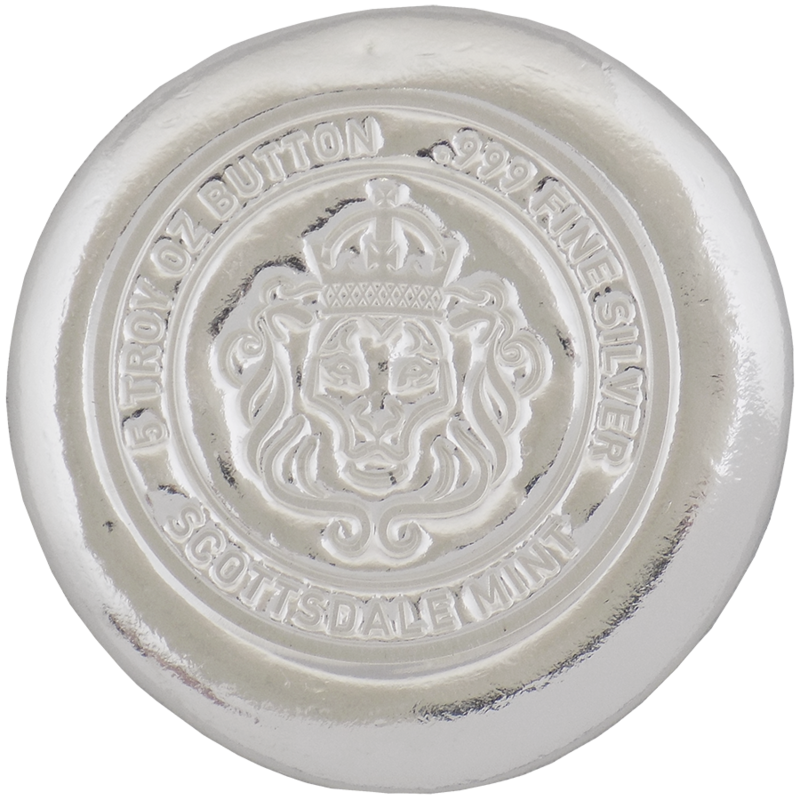 With highly reflective surfaces the rugged style bar features the Scottsdale lion logo and details the weight and fineness. 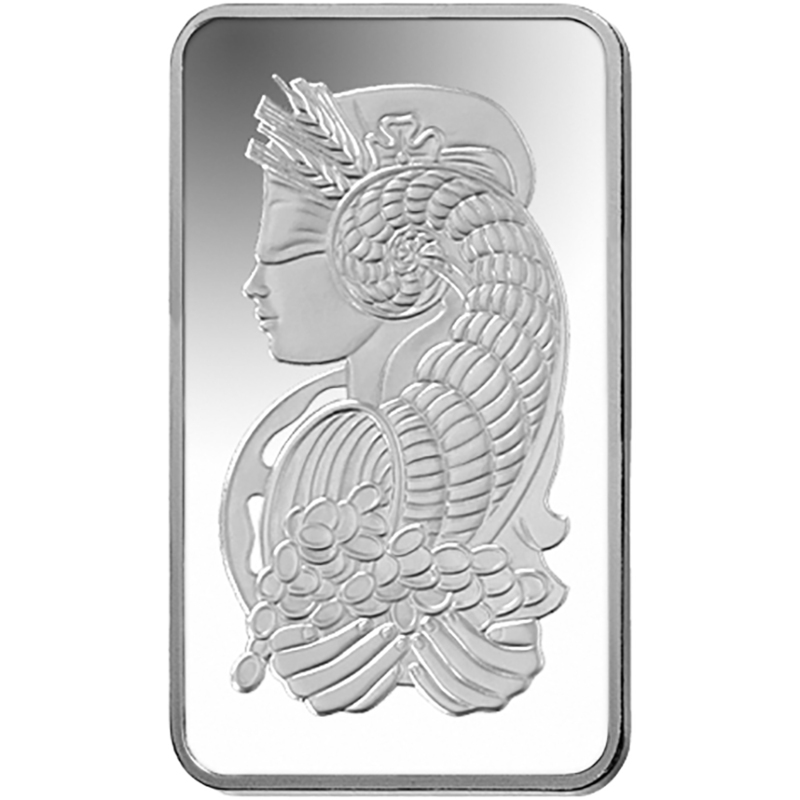 The reverse of the bar is plain. 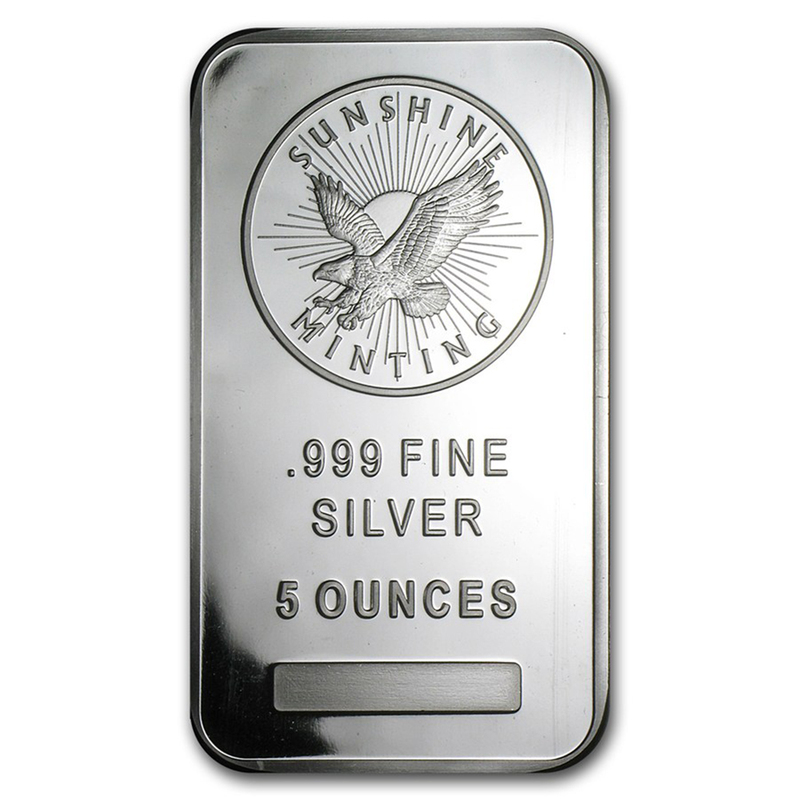 Each bar weighs 5oz of 999.0 Fine Silver. 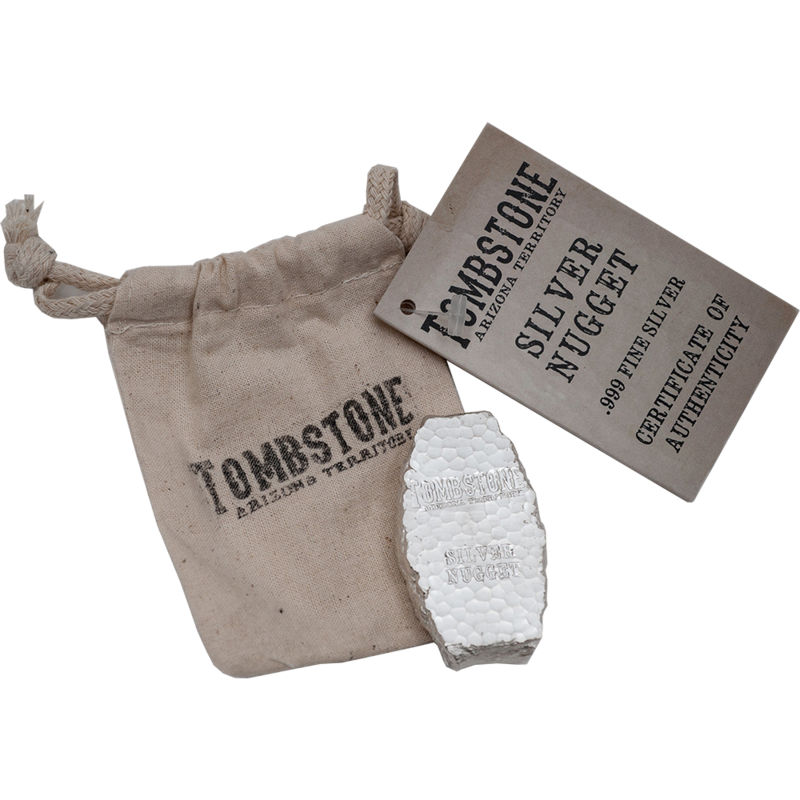 Manufactured and supplied by Scottsdale Mint in Arizona, USA. Dimensions: 60.30mm x 22.20mm x 12.70mm. 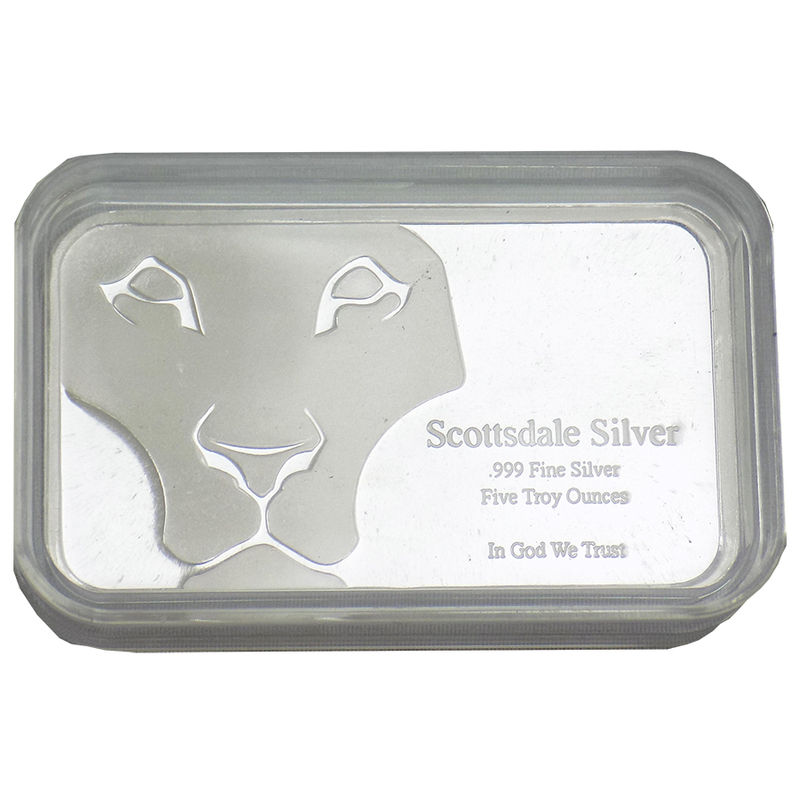 Scottsdale Mint provides some of the most exceptional bullion products available to consumers today.